1Laboratory of Biotechnologies, Research and Training Unit of Biosciences, Félix Houphouët-Boigny University, Côte d'Ivoire. 2Laboratory of Microbiology of Oceanographic Research Center, Côte d'Ivoire. 1Laboratory of Biotechnology and Microbiology of Foods, Department of Foods Sciences and Technologies, Nangui Abrogoua University, Côte d'Ivoire. *To whom correspondence should be addressed. E-mail: atobla@yahoo.fr. Received 02 September, 2017; Received in revised form 06 October, 2017; Accepted 10 October, 2017. Pork, Yersinia enterocolitica, Infection risks, Public health. Pork consumption was evaluated based on transversal and retrospective survey, coupled with direct observations in Abidjan District, Côte d'Ivoire. Methods of collecting data were face-to-face interviews using standardized questionnaires for both consumers or non-consumers. In addition, Yersinia enterocolitica strains from pork samples were characterized by using biotyping, and serotyping methods as well as virulence markers. The results of the survey showed that smoked pork was consumed more (51.9%) at home, followed by fresh pork (24.7%) and then fried pork (17.3%). Outside the home, consumers preferred baked pork (51.3%). Observation of pork vendors and consumers revealed that good hygiene practices were not observed. As a result, 39.5% of consumers surveyed evoked some infection cases. The most common digestive disorders evoked were diarrhea (46.0%), abdominal pain (21.3%) and vomiting (5.2%). Thus, among the 400 samples collected, three Y. enterocolitica 4/O:3 strains were isolated, including 2 from 200 tongues and 1 strain in 200 carcasses. 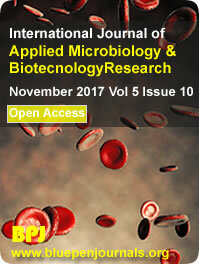 Y. enterocolitica 4/O:3 showed antibiotic resistances and harbored virulence genes, indicating their pathogenicity. All these findings revealed that pork consumption and processing conditions would be a risk factor for Yersinia infections. Therefore, good hygiene practices campaign along the pork chain should be conducted in Côte d'Ivoire.